Camera company Snap Inc has made its smart eye-wear dubbed "Spectacles" available for sale on Amazon beginning today which will provide for easier purchase by consumers in the U.S. 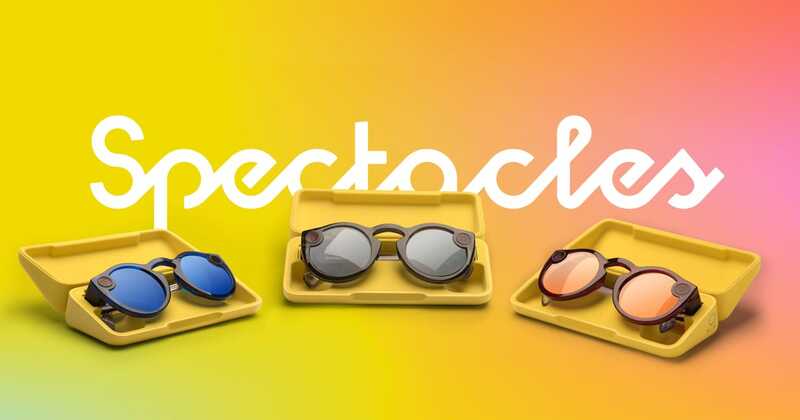 The new version of Spectacles which comes in three colors and is capable of shooting HD videos through its attached camera is selling for $149.99 on Amazon and also comes with a next-day shipping offer attached to it. Snapchat released this second version of Spectacles April this year after releasing its first version way back in November 2016, The first batch of sales didn't particularly go very well and left Snapchat with a whole lot of un-sold inventory but with this new improved version and availability in more retail outlets, Snap Inc is expected to gain much more sales than it did with the previous version. The Spectacles which offer a 115° field of view and a very unique social experience makes a very good buy and can also be purchased on Snap's own Spectacles website.